EVE Online is a socially complex, science-fiction-themed universe simulation and massively multiplayer online game (MMOG) first released in 2003. In this fascinating book, scholars, players, and EVE’s developer CCP Games examine the intricate world of EVE Online—providing authentic accounts of lived experience within a game with more than a decade of history and millions of “real” dollars behind it. Research into EVE Online occurs within a surprisingly broad variety of disciplines. This list attempts to provide an introduction into this body of literature, but is likely not complete. If you have work which you would like included in this list, please feel free to email me. Available in PDF from JSTOR. Carter, M., Bergstrom, K. & Woodford, D. (2016) Internet Spaceships are Serious Business. Minnesota: The University of Minnesota Press. Bergstrom, K. & Carter, M. (2016) EVE Online for the Uninitiated. In Internet Spaceships are Serious Business, edited by M. Carter, K. Bergstrom & D. Woodford. The University of Minnesota Press, pp. 1-16. Paul, C. (2016) EVE Online is Hard and it Matters. In Internet Spaceships are Serious Business, edited by M. Carter, K. Bergstrom & D. Woodford. The University of Minnesota Press, pp. 17-30. Bainbridge, W. S. (2016) Virtual Interstellar Travel. In Internet Spaceships are Serious Business, edited by M. Carter, K. Bergstrom & D. Woodford. The University of Minnesota Press, pp. 31-47. Emilsson, K. P. (2016) Universes, Metaverses and Multiverses. In Internet Spaceships are Serious Business, edited by M. Carter, K. Bergstrom & D. Woodford. The University of Minnesota Press, pp. 48-54. Milik, O. (2016) The Digital Grind: Time and Labor as Resources of War in EVE Online. In Internet Spaceships are Serious Business, edited by M. Carter, K. Bergstrom & D. Woodford. The University of Minnesota Press, pp. 55-76. Goodfellow, C. (2016) The Russians are Coming! Stereotypes and Perceptions of “Russianness” in EVE Online. In Internet Spaceships are Serious Business, edited by M. Carter, K. Bergstrom & D. Woodford. The University of Minnesota Press, pp. 77-92. Chribba (2016) The Art of Selling Trust. In Internet Spaceships are Serious Business, edited by M. Carter, K. Bergstrom & D. Woodford. The University of Minnesota Press, pp. 93-98. Page, R. (2016) We Play Something Awful: Goon Projects and Pervasive Practices on Online Games. In Internet Spaceships are Serious Business, edited by M. Carter, K. Bergstrom & D. Woodford. The University of Minnesota Press, pp. 99-114. Harrison, K. (2016) An Accidental Spymaster. In Internet Spaceships are Serious Business, edited by M. Carter, K. Bergstrom & D. Woodford. The University of Minnesota Press, pp. 115-121. The Mittani (2016) The Evolution of Player Organisations: A Goonswarm Perspective. In Internet Spaceships are Serious Business, edited by M. Carter, K. Bergstrom & D. Woodford. The University of Minnesota Press, pp. 112-128. Gibbs, M., Carter, M. & Mori, J. (2016) RIP Vile Rat: Makeshift Memorials in EVE Online. In Internet Spaceships are Serious Business, edited by M. Carter, K. Bergstrom & D. Woodford. The University of Minnesota Press, pp. 129-147. Bergstrom, K. (2016) Imagined Capsuleers: Reframing Discussions around Gender and EVE Online. In Internet Spaceships are Serious Business, edited by M. Carter, K. Bergstrom & D. Woodford. The University of Minnesota Press, pp. 148-163. Mantou (2016) The Social System in EVE Online. In Internet Spaceships are Serious Business, edited by M. Carter, K. Bergstrom & D. Woodford. The University of Minnesota Press, pp. 164-166. Czarnota, J. (2016) Do EVE Online Players Dream of Icelandic Spaceships? The Role and Mechanisms of Co-Creation in CCP’s Success. In Internet Spaceships are Serious Business, edited by M. Carter, K. Bergstrom & D. Woodford. The University of Minnesota Press, pp. 167-188. Webber, N. (2016) EVE Online as History. In Internet Spaceships are Serious Business, edited by M. Carter, K. Bergstrom & D. Woodford. The University of Minnesota Press, pp. 189-209. MacDonough, K., Fraimow, R., Erdman, D. Gronsbell, J. & Titkemeyer, E. (2016) On the EVE of Preservation: Conserving a Complex Universe. In Internet Spaceships are Serious Business, edited by M. Carter, K. Bergstrom & D. Woodford. The University of Minnesota Press, pp. 210-220. Bergstrom, K. 2012. Virtual inequality: a woman’s place in cyberspace. In Proceedings of the 7th International Conference on the Foundations of Digital Games (FDG’12). ACM Press, 267-269. Bainbridge, W. S. 2012. Online Multiplayer Games. (Vol. 13). Morgan & Claypool. Bainbridge, W. S. 2011. EVE Online. In The Virtual Future. Springer, London, 113-129. Blodgett, B. M. 2009. And the Ringleaders Were Banned: An Examination of Protest in Virtual Worlds. In Proceedings of the 4th International Conference on Communities and Technologies (C&T’09). ACM Press, 135-144. Carter, M., Gibbs, M. and Harrop, M. 2012. Metagames, Paragames and Orthogames: a New Vocabulary. In Proceedings of the 7th International Conference on the Foundations of Digital Games (FDG ’12). ACM Press, 11-17. Carter, M., Gibbs, M. and Arnold, M. 2012. Avatars, Characters, Users and Players: Multiple Identities at/in Play. In Proceedings of the 24th Australian Computer-Human Interaction Conference (ozCHI’12). ACM Press, 68-71. Carter, M. 2013. Ruthlessness as a Hyper Social form of Play. In Proceedings of the 2013 Digital Games Research Association Conference. (DiGRA’13). Carter, M., Gibbs, M. & Arnold, M. 2015. 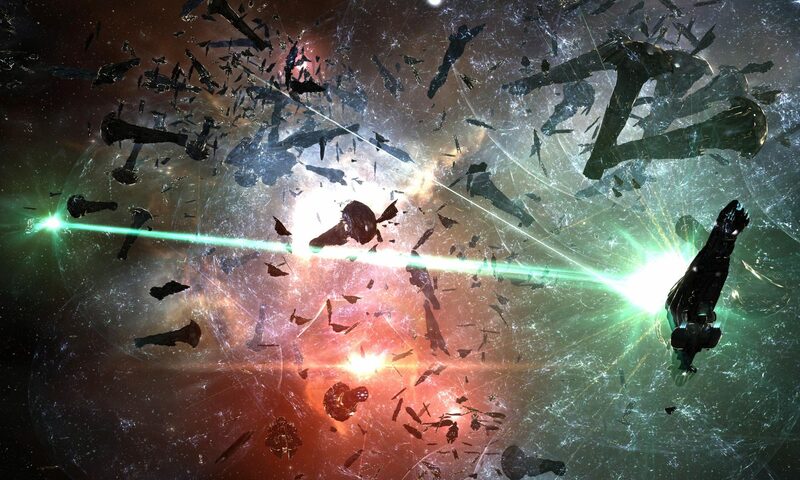 The Demarcation Problem in Multiplayer Games: Boundary-Work in EVE Online’s eSport. Game Studies, http://gamestudies.org/1501/articles/carter. Craft, A. J. 2007. Sin in Cyber-Eden: Understanding the Metaphysics and Morals of Virtual Worlds. Ethics and Information Technology. 9(3), 205-217. Feng, W-C., Brandt, D. and Saha, D. 2008. A Long-Term Study of a Popular MMORPG. In Proceedings of the 6th ACM SIGCOMM Workshop on Network and System Support for Games. ACM Press, 19-24. Goodfellow, Catherine. 2015. Russian Overlords, Vodka, and Logoffski Russian-and English-Language Discourse About Anti-Russian Xenophobia in the EVE Online Community. Games and Culture 10(4), 343-364. Lehdonvirta, V. and Castronova, E. 2014. Virtual Economies: Design and Analysis. MIT Press: Cambridge. Lehdonvirta, V., Ratan, R., Kennedy, T. and Williams, D. 2014. Pink and Blue Pixel$: Gender and Economic Disparity in Two Massive Online Games. The Information Society 30(4): 243-255. Paul, C. 2011. Don’t play me: EVE Online, new players and rhetoric. In Proceedings of the 6th International Conference on Foundations of Digital Games (FDG’11). ACM Press, 262-264. Paul, C. 2012. Worldplay and the Discourse of Video Games: Analyzing Words, Design and Play. Routledge, New York. Peers, B. 2011. Making Faces: EVE Online’s new portrait rendering. In ACM SIGGRAPH 2011 Talks (SIGGRAPH’11). ACM Press. Reynolds, R. 2010. The Duty to ‘Play’: Ethics, EULAs and MMOs. International Journal of Internet Research Ethics, 3(1), 48-68. Rossignol, J. 2008. This Gaming Life: Travel in Three Cities. The University of Michigan Presss. Taylor, N., Bergstrom, K., Jenson, J., & de Castell, S. 2015. Alienated Playbour: Relations of Production in EVE Online. Games and Culture. 10(4) 365-388. Webber, N. 2014. Law, Culture and Massively Multiplayer Online Games. International Review of Law, Computers and Technology 28(1), 45-59. Webber, N. 2016. Public History, Game Communities and Historical Knowledge. In Proceedings of Playing with History 2016 DiGRA/FDG Workshop, Dundee, UK. Webber, N. 2017. EVE Online’s War Correspondents: Player Journalism as History. In Fans and Videogames: History, Fandom, Archives, M. Swalwell, A. Ndalianis & H. Stuckey (Eds. ), London: Routledge, pp. 93-110. Woodford, D. 2012. Hanging out is hard to do: Methodology in non-avatar environments. Journal of Gaming and Virtual Worlds, 4(3), 275-288. Woodford, D. 2012. Regulating Virtual Environments. In Proceedings of the 7th International Conference on the Foundations of Digital Games (FDG’12). ACM Press, 270-272. (Magazine article on Goons) Dibbell, J. 2008. Mutilated furries, flying phalluses: Put the blame on griefers, the sociopaths of the virtual world. Wired Magazine 16/2/08 [link].